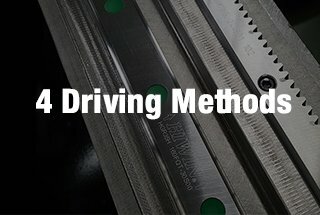 What is the “flying light path” in a laser cutting machine? 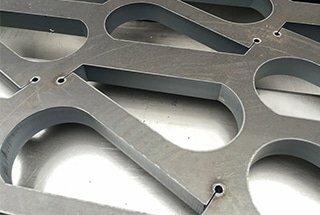 What are the cutting techniques of laser cutting machine? 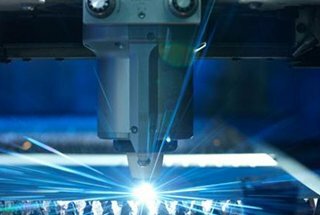 What are the key technologies for CO2 laser cutting? What are the notices in operating laser machine? 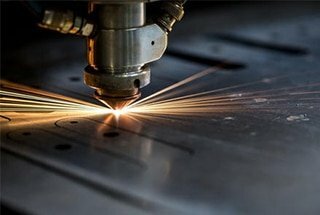 Is laser cutting machine harmful to human body? 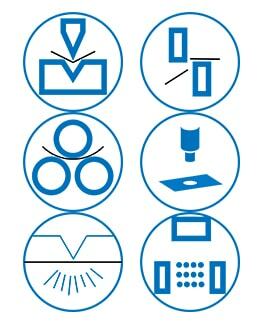 What are the structural classifications of laser cutting machines? 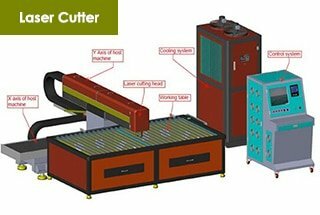 How is laser cutting machine divided in terms of cutting workpiece? 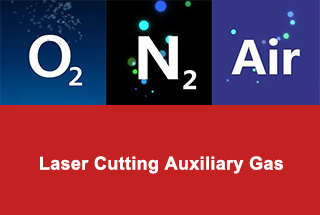 What is the role of auxiliary gas for laser cutting machine? 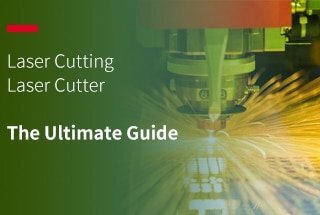 What are the standards for evaluating the cutting quality of the laser cutting machine? We have both desktop type and enclosed type fiber laser cutting machine for your selection. Generally, to stabilize the output, the laser generator is fixed, so the laser transmission direction is relatively fixed, but in order to meet demands, we usually take some means to change the transmission direction of the laser, making the laser transmission dynamic. The common measures are reflectors, optical fibers, etc. The light source does not move, the reflector and focus lens move, while the light output maintains stable power output, then the flying light path forms. 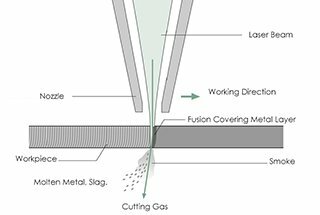 The fusion cutting is to make the laser light shine on the plate and when the laser power reaches a certain critical value, partial areas will be melted to achieve the cutting effect. 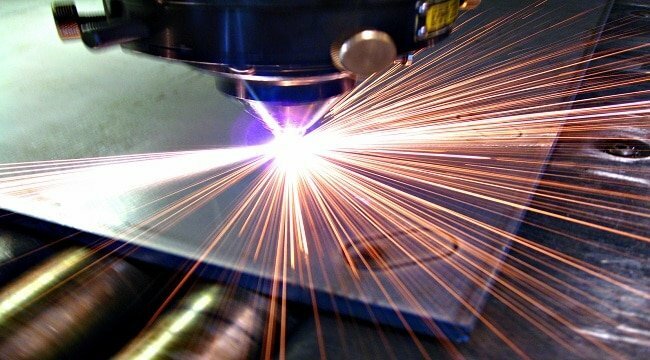 In vaporization cutting, high power laser beams are used to heat the material to avoid the slag burr formed in the melting caused by heat conduction. Some materials are vaporized into steam and the edges are relatively beautiful. 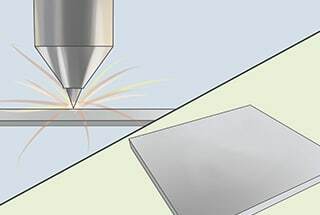 Oxidation cutting uses the heat generated from the chemical reaction between the oxygen blew out from nozzle and laser beams to make processing. 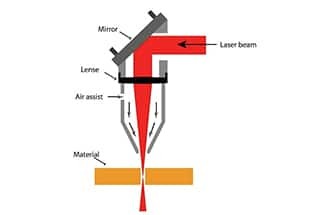 For brittle materials easily damaged by heat, they can be cut at high speed by heated laser beams, which will cause an obvious thermal gradient and severe mechanical deformation, and further cause materials to crack. Therefore, oxidation cutting is called controllable fracture cutting as well. 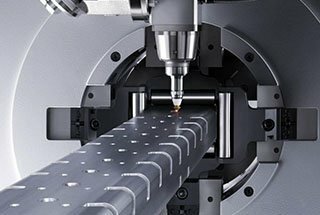 Autofocus system technology： the smaller the focal depth, the smaller the diameter of the laser direct focus, so the control focus is very important to the surface of materials to be cut. Cutting drilling technology. 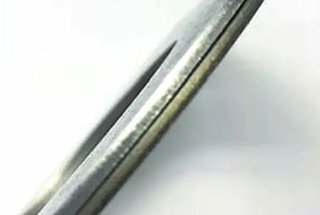 For any kind of cutting processing technology, expect to cut from the edge, generally, there is a commonly known as “the knife” position on the cutting material, which refers to drill first and then follow up with subsequent cutting. Airflow technology in nozzle design. 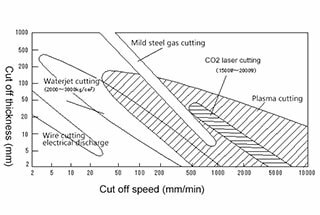 When the laser is used to cut materials, airflow would be generated in the nozzle, generally “air” “nitrogen” “oxygen”, which will not only accelerate or beautify the cutting but also can blow off slag, the so-called kill two birds with one stone. 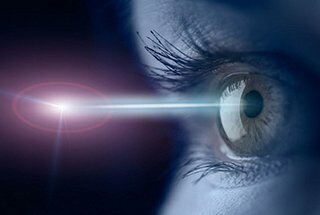 Because the laser beam is invisible for human eyes to see, don’t stare at it for a long time, especially it is very dangerous when the light path occurs. 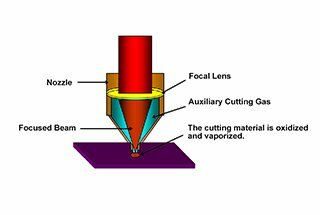 The focus lens of the laser cutting machine has harmful elements (ZnSe), so do not contact lenses often and scrap lenses should be processed professionally instead of just throwing away. It is ok if the processing material is carbon steel or iron, however, if processing a large amount of aluminum alloy or other alloy materials, it is harmful to human to breath in cutting dust, so be sure to wear a mask. Because of the strong reflection of the aluminum plate, a protective device is added to the laser head to avoid injury. In general, there are accidents in this aspect, but there is no absolute harm, because any job is dangerous to some extent, and there is no absolute safety, only relative. For example, laser cutting is much more environmentally friendly than plasma cutting and flame cutting. 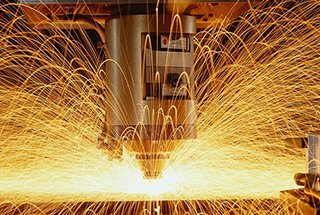 Plasma cutting machine causes a large amount of dust, smoke and strong light, which requires a dust removal device. The laser cutting machine produces less dust, and the light is not very strong and the noise is very small. It’s more environmentally friendly. Of course, new laser cutting machine operators are inclined to stare at the cutting head. 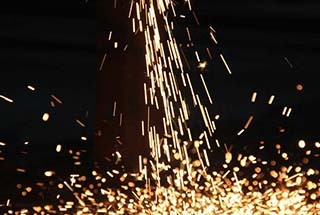 If they stare at the sparks from the cutting for a long time, it is harmful to eyes, feeling painful. Some manufacturers will equip the laser cutting machine with protective glasses. Laser cutting machine is very intelligent and can be unmanned, so there is no need to stare at the cutting head. This kind of laser cutting machine is common to see. 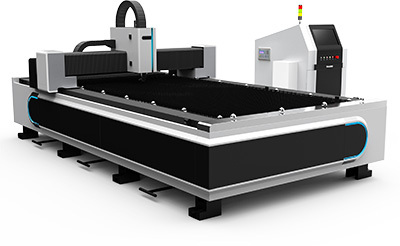 Putting the laser on one side, it transfers lasers via the external light path to laser cutting head and the machining scope is 1.5 * 3 m, 2 * 4 m.
According to the specific structure, bench laser cutting machine is divided into the cantilever, gantry, hybrid ones and so on. Bench laser cutting machine is mainly used for sheet metal processing. It can be used in many industries, such as medical equipment, lamp ornaments, food machinery and other industries with thin plate processing. This kind of laser cutting machine places laser on the machine, moving with the operation of the machine, which can ensure a constant light path. It has a big cutting range of 2-6 meters in width and dozens of meters in length. It mainly used in construction machinery, shipbuilding, locomotive and other heavy industries. It is mainly aimed at the cutting of plate with 3mm-25mm thickness. 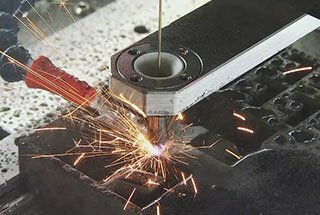 The power of the laser is generally small, mainly used for cutting acrylic, leather, cloth and other non-metallic materials. Tube laser cutting machine for cutting tubes, having exclusive and non-exclusive ones. The non-exclusive ones can be used for cutting plates and tubes. In most cases, air, oxygen or nitrogen are used. The first purpose is to blow away the residue and achieve the best cutting effect. When using gases to blow away the metal slag, it can protect the lens and prevent the slag from affecting the cutting quality by avoid them sticking to the lens. Using nitrogen to cut can effectively achieve smooth cutting surface, no burr, no slag, which can be called fine cutting. 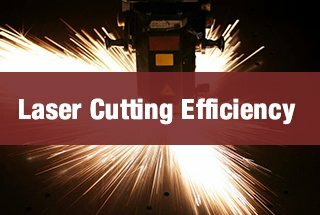 With oxygen cutting, oxygen can help combustion, react with the material and increase the cutting speed. 2). size and quantity of the slag at the cutting edge of the material after cutting. 4). size of the first circular cutting at the cutting edge. 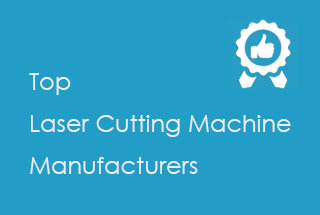 Metalworking machinery for sheet metal cutting, bending, rolling, pressing, grooving, etc.